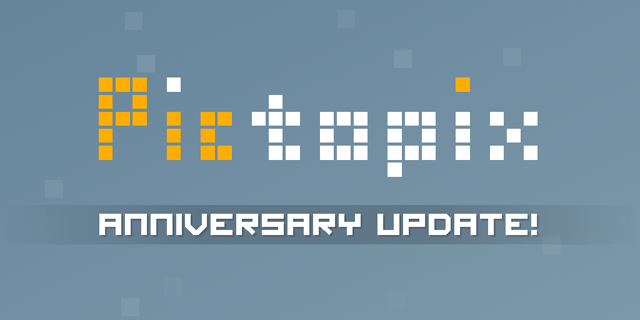 If you're into both puzzle games and mathematics, Pictopix might just be the match made in heaven for you. The premise is simple: start with a grid of a given size, and fill in the tiles according to simple rules. Numbers next to each row and column indicate how many blocks of that row must be filled in, and if there are breaks between streaks of these rows. Each of these puzzles has exactly one solution, and can be determined purely by logic. Once you fill out everything - assuming you've not made any mistakes, which can happen if your powers of deduction slip - it'll complete into a picture as a little bonus. Will you make a tire, a swan, something else? Play Pictopix and watch the puzzles take shape before your eyes! Pictopix is, at its heart, a pure puzzle game. Your objective is to fill out a grid of squares carefully, making sure certain rules as described above are respected. A bit like other games such as Sudoku, by using purely logic, one can determine which tiles must be filled, and which ones must be empty, slowly but surely until the full puzzle is complete. When you have filled in all of the correct tiles, the game plays sound and congratulations you on your success. 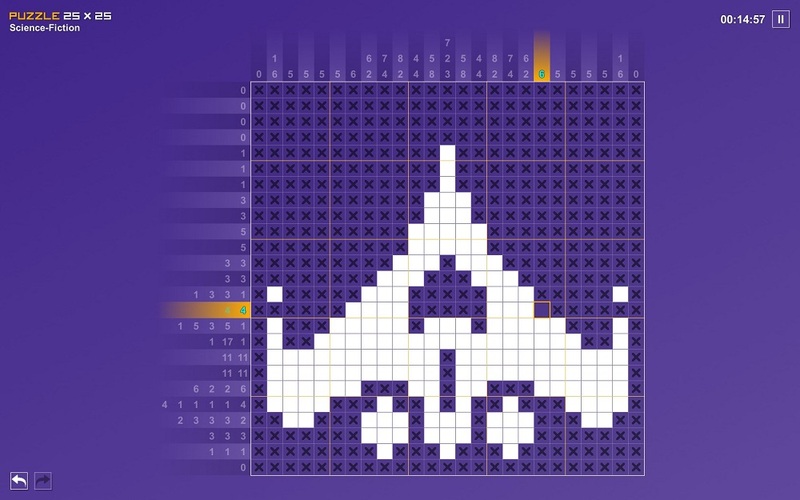 It offers several levels of difficulty, from small 5x5 grids (that is, 5 squares wide and 5 squares tall) going all the way up to 40x40. One of the things I disliked about the system was locking out later (and more difficult) puzzles behind completing earlier ones. For example, it forces one to complete a large number of 10x10 puzzles before allowing one to try a 15x15 puzzle. So far I've played about 10 hours, and though I'd like to try some of the really big puzzles, I'm not sure I'd want to put it that many hours to unlock them. Perhaps I'm more mathematically inclined than most, but after a bunch of them, I feel ready to move on. Personally I would relax the design a bit - say complete 3 or 5 of a set of 15 puzzles to unlock the next 15 and so on. The positive side of this, though, is that there is plenty of content for the price and it will be sure to entertain puzzle lovers for hour upon hour. The only other thing I might add is a greater variety of music. It does get a bit stale listening to the same thing on loop for a while, and more tracks could help to alleviate that. There are several nice convenience features incorporated into the gameplay. For example, if you want to fill out all remaining squares of a row or column as "filled" or "no possible square" you may do so by clicking and holding the appropriate mouse button and dragging it across the row. Even if your mouse movement strays a bit, the game understands you mean to stay in the row/column and fills all remaining squares in the according way, without overwriting anything already there. There's also a neat level editor to build your own levels and pixelated pictures, as well as test out ones created by others and shared publicly. I've pretty much described the controls, which are fairly simple and generally just entail filling in the puzzle with squares and X's as you go. You can also mark the numbers on the rows and columns to indicate when you have 'solved' that part of the puzzle. The game further offers several levels of difficulty that offer the player progressively less in the form of hints, so whether you're new to the genre or a veteran puzzle-solver, it can be tailored to an appropriate level of difficulty. In conclusion, Pictopix is a nice puzzler that's relatively easy to pick up and much harder to put down. If you enjoy a good puzzle that makes you think rather than guess, it's a good investment of a few dollars for what is surely many hours of puzzle solving that awaits you.